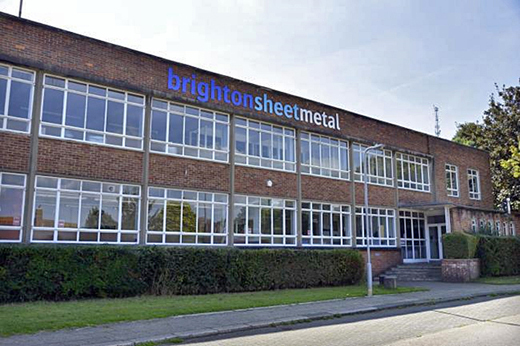 Brighton Sheetmetal Works 1962 – 2009 (My recollections and personal memories). Mr R.L Oura (Waggie), Mr John Layfield (son of a bookmaker), Mr Phillip Layfield, Mr Phillip Clarke, Toni Oura (waggies second wife), Mr Don. Edmunds. Mr Oura was divorced when I started at BSM in 1962. His first wife lived in a big house in Bolney, and he had a daughter called Jill. Toni was his second wife, and she had been a secretary at the Dorset Gardens factory/house. They now lived at Steyning. John Layfield lived near Bluebell Farm along the Broyle, north of Ringmer. He owned a big farm and had a son called Jonathan who later became a manager and possibly director at Ranalah Moulds. A later director was Ron Hill from Derby. Eve Glowicki and Jane Young were secretaries or Personal Assistants as they are now called. Don Edmunds looked after the Oura interests when Waggie died. Philip Layfield took over when John Layfield died. Phillip later bought a farm in Norfolk and moved there, but did come down for board meetings and Christmas events. He sold the company in about 2016. Phillip Clark became director in the 2000’s or there about. It was he that engineered the main later development of BSM, adding the old Harrimonde factory to BSM and bringing in new machines and technology and a paint shop that had a fast moving conveyeor system for a quicker turnover. Brighton Sheetmetal Manager Ted Harwood, Chief Foreman Don Kirby, Chief Engineer and Draughtsman Charlie Brown. The tool room made the tools that fitted the presses and punched out or formed shapes. They did not make ‘tools’. The machines which the tool room possessed were a couple of milling machines, 3 lathes of varying sizes, and two grinding machines, along with a selection of drills. There was also a large bandsaw for cutting through 3 inch thick steel. Another seldom used piece of equipment was a filing machine, but most of the tool makers did this by hand. Along the side of the tool stores was a very large grinding machine and a very large lathe. Charlie Brown – Designer and Draughtsman – Later a director and received a medal from the Queen for his design of gas mask eye piece manufacturing tools. He worked at BSM until his mid 70’s, in later years as part time. He lived in Coombe Road. Malcolm Holman – Toolroom lad - drawing office draughtsman and later Sales Director and quite a motivating force for the company. He lived along Jevington Drive and later moved to Piddinghoe. Bill Baily – Foreman – He retired on the Friday and electrocuted himself the following Tuesday. Bill also had a garage up at Whichelo Place in Brighton where he worked in the evenings. He was a great foreman and knew a lot about engineering and tool making. The Toolmakers – Harry Hawketts Bill Elliott (Real name Edward) Fred Gunn, Bill Budd, Les Parker, Leo Ceimers, Ivor Sedge. Later Chris Robins and Michael Proctor joined the team and guy who was the chief miller ran the CVA machine, can’t remember his name. There was also Peter Hoeppner, Derek Bravery, Peter Frampton (‘hairy’ and was a hippy lived in a van outside of the factory at Moulsecoomb). Leo Ceimers came from Latvia and had a very interesting war. He was conscripted into the German army but managed to escape from the Russians and being picked up by the British found his way to England. He also worked with Bill Baily in the evenings at the garage in Whichelo Place. He used to smoke Kensitas, and was very generous with his cigarettes. Wiedemann Machine setter operator was Ted Preston and the operator was Bill Robins. Press Shop – BSM had a number of presses. These varied form flypresses quite small, to very large one up to punching 200 tons. They also had a double action press that was able to ‘draw’ steel down into box shapes, and the most common usage was for Allen West switch boxes. Most of the presses were either 20 ton or 50 ton. They worked the tools mad by the toolmakers, and produced either blanks of varying shapes or had tools that formed steel into shapes. Tool Setters - Bert Gates, Geoff Long (who later became a manager), Brian Hayden, Alan Pilgrim, Roy Moore,l Bert Lower (a relation of Peter Hoeppner) John Powell, who recently died and was in the Evening Argus and Tony Whittington. The operators included May Pokinghorne, and Julie Crookston (also later a canteen lady). Welders – John Procter, Malcolm Hobden, who was brilliant welder but died quite young, Billy Anyon (my best man). The Anyon family lived along Heathhill Avenue near Leybourne Parade. Mrs Anyon later became the cook. Keith Spencer was a (handyman) and welder and another welder was a lad called Kiwi who came from New Zealand. He organised a trip to London and a meal at a wonderful restaurant right on Piccadilly Circus. We stropped at the Orchid ballroom on the way home. Brake Presses – Brake presses were very large presses for forming steel, and use ‘v’ shaped tools. They could be quite lethal. Setters - Charlie Spicer and Alfie Picknall who lost a finger trapped in the press. Later setter/operators were Ian Mc Dougall and Mick Mansell who lived at Whitehawk. Spot welders - George Language, later Tony Harris (who lived opposite the factory in Auckland Drive). Guillotines – BSM had up to 3 guillotines. These were large cutting machines that cut steel sheets into squares, rectangle of strips. The cut strips were then placed into the tools on the presses. Setter/Operators - Bob Arnold and Lionel who came from Jamaica. Later it was George Rodriegous who ran there guillotines ( he was a marathon runner, a really nice man who would do anything for anyone) and he came from St Helena. Paintshop – Percy Sedge later Ray Therin, Frankie Muzzall, Robin Muzzall, Ian Porter. Drills – Eddie Hunt (lost several fingers on the guillotines and Dave? ), Bob Swan and George Housego. Sheet metal shop – This was an area of skilled sheet metal hand working and fitting. The foreman was Bert Blundell and Arthur Akehurst was one of the sheet metal workers. Stores - Ron Bradfield, Tom Stapleton. Reception – Mary Murphy, and later Audrey who sadly died after a venting attack caused breathing problems. Canteen – Daisy and Mary Waller. Mary late took over followed by Marie Hamilton and Jean Humphreys, Jessie Anyon was also a cook. Offices – Ron Blaber (purchasing) Paul (wages) Heather (Wages), Toni (later waggies second wife secretary), Joy Matthews (wages) (her dad was Bert Blundell) she married Terry Matthews. Angela? Who was a lovely ginger haired girl, who unfortunately had had a baby out of wedlock, this was not done in those days. Andrew Mayfield who did the accounts and Wendy who later married Malcolm Holman from the drawing office. Later buyers included Jason Hart and Andrew Pullen. Offices Downstairs – There were some offices down stairs for the production team. There was the clocking in and out man, an ex police man named Jim who lived down the Avenue. There was Pat who typed out the work sheets and Johnny Kemish who organised the production side, and Alan Greening who did the planning. There was a couple from upstairs that did the time and motion, often hiding and checking thee production times, they were not popular. One was named Major Nicholas Holberton. Transport – Bob Lane who also helped run the social club, and Laurie who was a staff sergeant in the Territorial army. Inspection - Gerry Maskery and Fred Hogbin (there were others over the years) including Malcolm Eldrige who lived at Moulsecoomb and Ron Williams who lived at Woodingdean, and Dickie Care who lived at Saltdean. Sales – Malcolm Holman, Alan Greening, Bill Swaffield, Chris Robins and later Steve Humphrey. Moulsecoomb Factory – Manager Ray Berry, Foreman Peter Cooper, Bill Baily and David Jones tool room foremen after Bill retired. David moved down to Devon on retirement. Social Club - The BSM Social Club was created in 1977 and held events held at – Arnold House – Old Ship Hotel – King Alfred – Hove Town Hall and the Hanbury Arms in Kemp Town –The first Chairman was Ron Ranford, Bob Swan organised events at the Bus depot Transport Club along the Lewes Road. Christmas Parties and Barn dances were held at the Moulsecoomb Hall along Lewes Road. Engineering – Originally it was just Charlie brown, Malcolm Holman and me. Bob Jones, started as a young lad in the drawing office and later became the engineering manager. Other engineers were Ian Watkins, Nigel a young draughtsman that left, and Tony Allen a pain in the neck along with another called Ian and later Steve Rhodes. Steve Humphries was also part of the team later going on into sales. My role was in engineering under Charlie Brown. I worked with Malcolm Holman for many years starting as a development draughtsman and later becoming a tool designer. At one stage I was also organising the metal purchasing and chasing the work through, as well as keeping records. Sadly this never transferred into any real managerial role. When we moved back to Bevendean in 1984 Bob Jones, who had started as a lad, took over the role of managing engineering. I did train on 3D CAD systems but was later transferred to production planning and use of the new computer system. The new system basically made my role redundant and it proved so and I left the company in 2009 after 44 years service. Sadly I did not get my parting lunch at the Grand Hotel, just a handshake from Philipe Layfield, but these things do happen. Joy Matthews was made redundant at the same time after 48 years service, and she didn’t get a lunch either. Maintainence – Eric Neve and Ted Sharp (There were a earlier pair one called Bill Pope I think, but I cannot really remember all their names) The maintenance shop was at the back of the factory and was always a mess full of bits and pieces, cables fuses and whatever. It was well hidden wherever it was. Major Customers – Geest, AML (Addressograph/Multigraph), Admel, Ministry of Defence, IBM Greenock, IBM Havant, Allen West, Petters, Mitsubishi, Man Roland (Germany) (lots of trunking) , Mutoh (Belgium),Wayfarer bus machines, Burroughs, Apricot Computers, Edwards Shoreham, Eastbourne and Crawley and a company at Littlehampton called Eurotherm. My own CV - I joined BSM in 1962 as trainee toolmaker, and was ‘promoted’ to the Drawing office in 1966. I went to the Brighton Technical College at Richmond Place and along Preston Road and gained a City & Guilds in Engineering and Engineering Design. BSM opened a new factory in Moulsecoomb Way in 1967 and the toolroom, drawing office and part of the press shop moved to that location, they moved back to Bevendean in 1984. The Moulsecoomb factory expanded due to a massive influx of work from IBM Greenock and Havant, they were also busy with Petters the refrigeration people, and Mitsubishi, making parts for televisions. Allen West was also a major customer for a while where BSM made switch boxes, plus the Ministry as we made millions of eye pieces for gas masks, and covers for weapons, ammunition boxes by the thousand and lots of large steel crates for carrying bombs. Sadly the invention of the silicon chip meant the collapse of the large computers and Moulsecoomb closed. 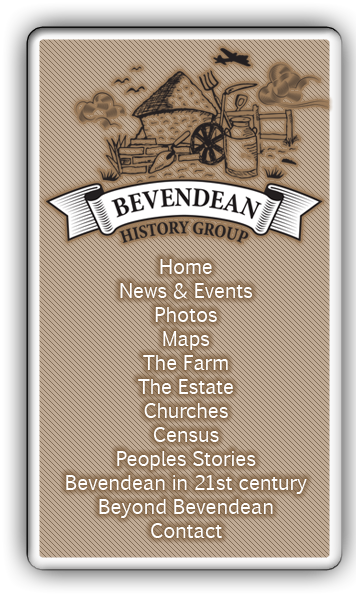 Back at Bevendean the engineering office was first upstairs and later moved downstairs. The old Harrimonde clothing factory was taken over in about 1995 and converted into the paint shop, paint preparation area and assembly.